Welcome to this exceptional home in Tuscany featuring 2271 sf of stunning upgrades, three bedrooms, private office, two and a half baths, concrete block construction, and a private, sparkling, saltwater pool. A covered entry leads to a welcoming foyer and spacious great room that provides stunning views of the pool through the sliding glass doors. 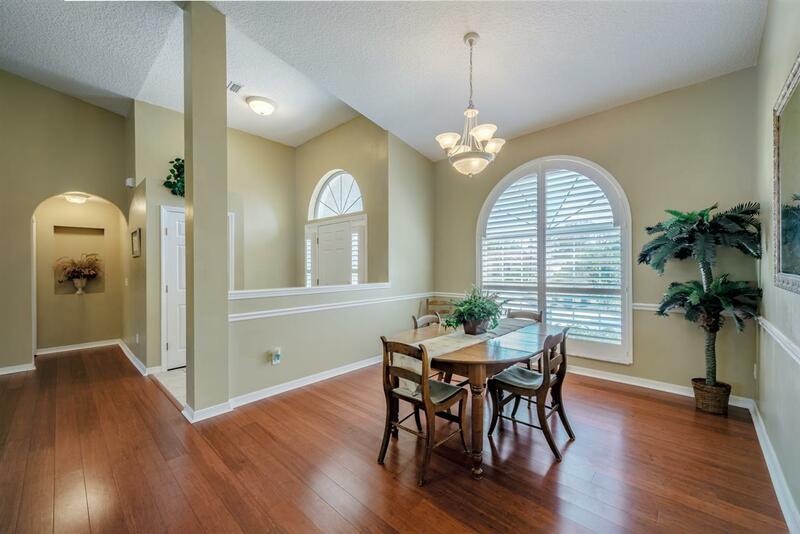 The formal dining room is conveniently located next to the living areas and features a coffered ceiling, crown molding and Plantation Shutters. The expansive great room which seamlessly meshes with the formal dining room is ideal for entertaining. The well-appointed gourmet kitchen features custom cabinetry, tiled backsplash, stainless appliances, pantry, a sunlit breakfast area, and direct access to the covered lanai and pool. Retire for the day to the alluring ownerÃ¢â‚¬â„¢s suite offering a sitting room, his and hers walk-in closets, and a luxurious ownerÃ¢â‚¬â„¢s bath with dual vanity, walk-in, tiled shower, and Roman tub. Other highlights of this remarkable home include a private office, two additional bedrooms, a conveniently located guest bath, separate laundry room, and a two car, court yard entry garage. 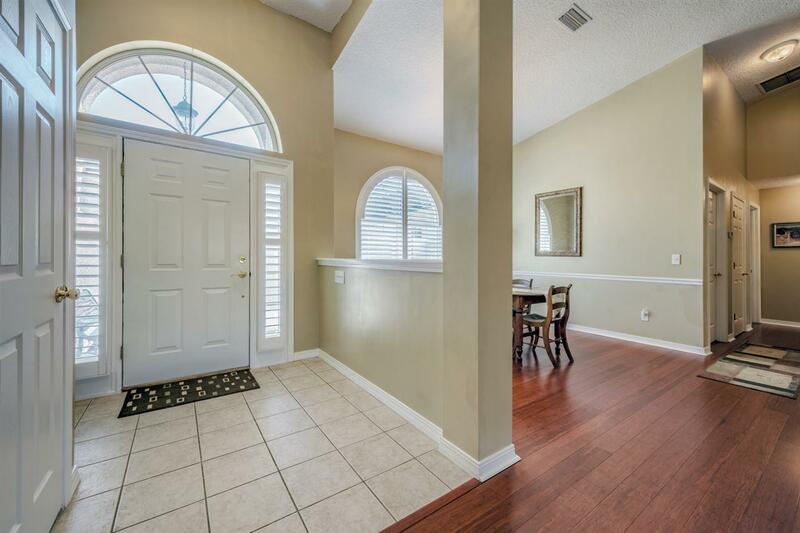 Additional interior upgrades include volume ceilings throughout, upgraded light fixtures, recessed lighting, quality wood and tile flooring, security system, new HVAC, new hot water heater, and lots of extra storage. The outdoor living area is outstanding and simply impressive with its sparkling salt water pool, covered cabana living area, and an over-sized, fenced backyard. Additional exterior upgrades include pool screen enclosure, 30-year architectural shingle roof, programmable irrigation system with private well, and a shed. 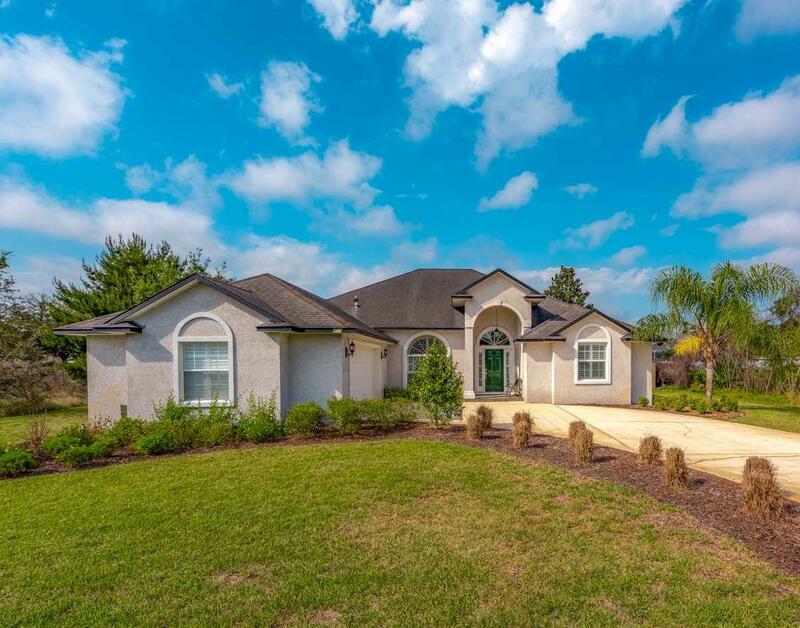 Tuscany at St. Augustine Shores is an established community nestled in the southern area of St. Augustine and is conveniently located to the beaches, great schools, shopping, hospitals, and historic downtown. 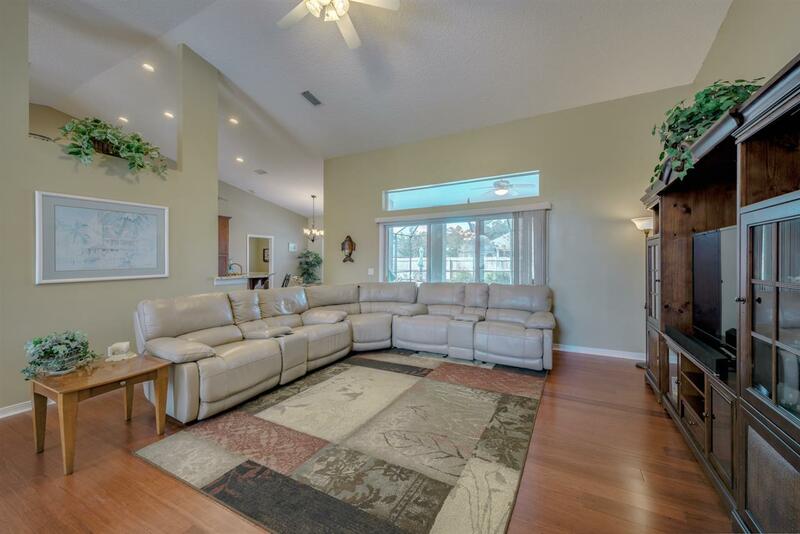 The Community features pool, clubhouse, RV /Boat parking, sidewalks, and playground.